Congratulations goes to Sam Edwards on passing her driving test today, 9th June. 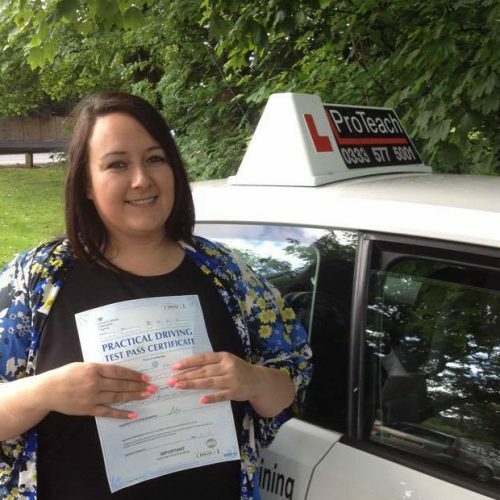 Sam had a great drive to pass with just 2 driving faults after taking an intensive driving course. She can now look forward to picking up her children from school. Well done again from Bob and all the team at ProTeach Driving School.